A little while ago, I was contacted by MPM School Supplies and I had the chance to do a little shoppin' for my classroom! Squee! 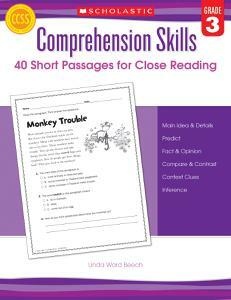 We heard the group coming to us this year would need a significant boost in reading comprehension. When I peeked at their reading levels, I started gathering resources for strategy groups, RTI, and guided reading. I started using this bad boy last week as we finally got past our rituals and routines lessons in Reader's Workshop. 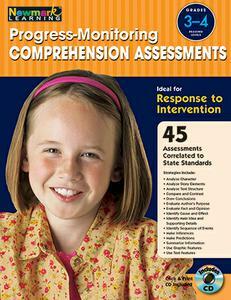 I have several kiddos reading on a first grade level, and I want to determine early on if they need extra instruction or if something more needs to be done for them. This is perfect for that! I love having sequential resources that I can maneuver into guided reading and strategy groups that don't take up my entire segment with a group. I started using this book as a homework practice page once a week. I shrinky dink the page to 85% and it works great! I ask my kids to use a couple of strategies (underline the evidence and slash the trash) so that I know they aren't just circling random answers. I also love the written component with each story. It's good practice for our CCSS assessments! I haven't had a chance to use these yet, but I know it's coming soon! When we introduce informational text, one of the first standards we'll teach is finding the main idea and supporting key details. I love using task cards in small groups and as a SCOOT assessment. Small groups are probably my favorite because I can check in with more students than during a whole group session. 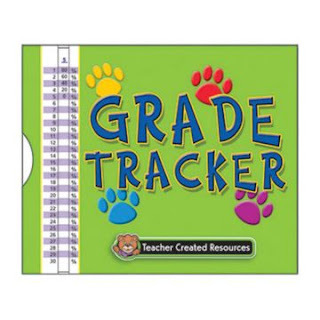 I somehow lost my grade tracker during the pack up and unpack season at school, so I added in one of these as well. After teaching literacy for 6 years, my math skillz aren't quite as quick as they used to be! Plus, with 40+ students each year, I need something to make the grading process go by a little quicker whenever I can! Oh, be still my smelly-marker-lovin'-heart! I love me some Mr. Sketch. 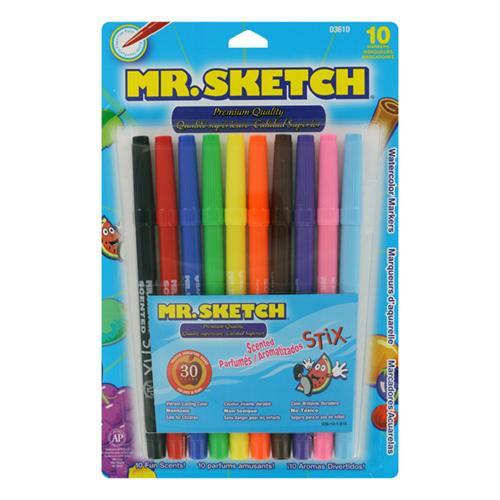 They are my FAVORITE chart markers. Hands down. So when I saw these on MPM's site, I absolutely had to get them. 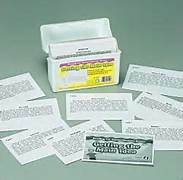 I wish I had gotten several packs because when I went to order more... WAAAAAAH! They are gone! NO MAS! If anyone knows where to get them, please let me know. I am in serious Sadsville over here! They are absolutely perfect for grading, doodling, and putting yourself in a better mood! So here's the delicious part for you! This is my first year teaching 3rd grade! These would be wonderful. Thanks. My favorite read aloud is Enemy Pie. It leads to great discussions about making new friends. My favorite read aloud is Have You Filled a Bucket Today? It is great for establishing good behaviors and being a good friend. My favorite read aloud is Thank you Mr. Falker! I like to read First Day Jitters! Favorite read aloud for back to school is definitely First Day Jitters. This year I also read Brand New Pencils, Brand New Books by Diane deGroat. We had a great time using a Venn Diagram (for the first time for some of my kiddos) comparing the first day of school for the 2 main characters. For the fall itself, I really love Frankenstein Moved in on the Fourth Floor. It's an easy chapter book from the 90s. I read it for the first time last year as our first literature circle and just loved it. My kiddos liked it, too! Favorite read aloud for back to school: A Fine, Fine School by Sharon Creech. My favorite read aloud is Wayside Stories! The Kissing Hand for back to school! First Day Jitters is always fun on the first day. These are all great! I also read The Seven Habits of Happy Kids as we build our classroom community. The kids absolutely love this book, and there are loads of activities you can do to reinforce the habits you are working on. I always start readers workshop by reading The Bee Tree by Patricia Polacco. I also begin our chapter book read aloud for the last ten minutes of each day with Beezus and Ramona by Beverly Clearly. That is such a classic third grade book that they all can relate to with pesky younger siblings. I find the hardest part of teaching is making sure to have just right lessons for every level student. Sometimes my third graders range from 1st to 10th grade reading levels! These books sound great for guided reading and skills groups. I like to start the year with "Muggie Maggie" to get kids in the mood to start writing in cursive. First Day Jitters is my favorite. I love reading First Day Jitters as well, but in my class we always use Wayside School Gets a Little Stranger as our first read aloud. The class reads the first Wayside School book over the summer and they are always begging me to read more. Favorite back to school read aloud: Mr. Peabody's Apples by Madonna. Such a great message. Thanks for the opportunity to win these two books. They look awesome. They are in my shopping cart already!!! I love Mean Jean the Recess Queen, we then talk about making friends. I love First Day Jitters and Enemy Pie! We love Gooney Bird Green...perfect for introducing narratives! First Day Jitters, Teacher From the Black Lagoon, and Yertle the Turtle are some of my favorites!